The Danish Design Doris The Donkey is a luxury dog toy for playing or training. With multiple textures for interest this 15" toy is most suitable for medium-large dog breeds or smaller breed who love a challenge. 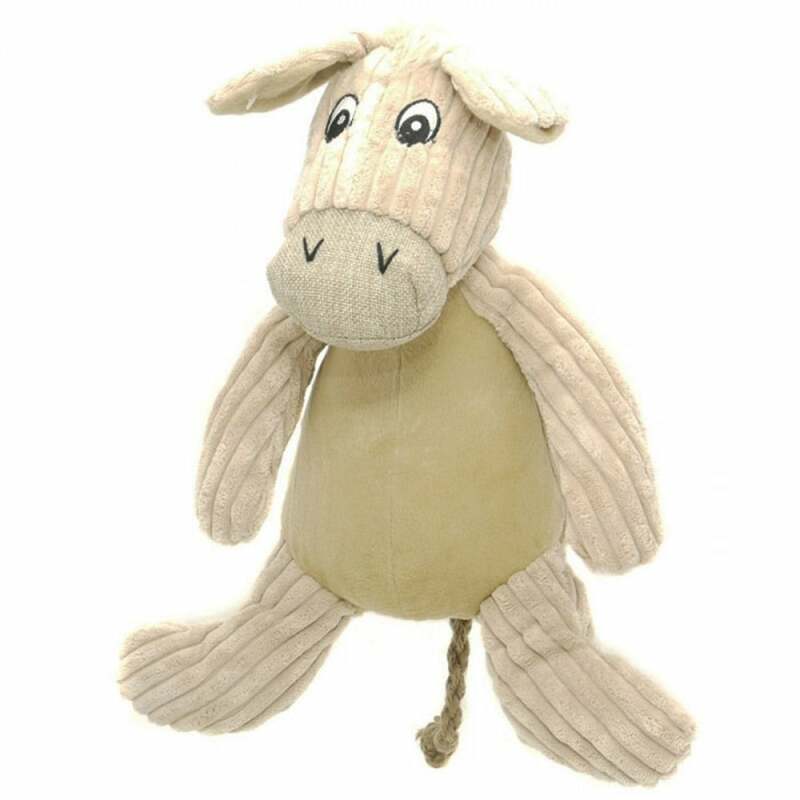 Doris the donkey can bring hours of companionship and entertainment for your dog and is a welcome addition to the already impressive range of quality dog toys made by Danish Design. We endeavor to post out your goods the same day they are ordered; however in busy periods this can take a little longer. A next day delivery service is available to the majority of mainland UK at a cost of £6.95. Orders must be placed before 3pm to qualify for Next Day delivery. Orders placed after 3pm on next day delivery will be dispatched the following day on a Next Day delivery service. Saturday and Sunday delivery is £9.50 and available to most UK Mainland postcodes (excludes Highlands). Orders must be placed by 3pm on Friday, please note our courier cannot collect on a Saturday so Sunday orders must also be placed by 3pm on Friday. Please see our Terms and Conditions for our full delivery policy. You have 28 days to return a non-sale item to us; items must be in their original packaging, unworn and not damaged. A full refund or exchange will be given. You have 14 days to return a sale item to us for a full refund; items must be in their original packaging, unworn and not damaged. A full refund or exchange will be given. We offer an extended period of returns at Christmas for goods purchased as Christmas presents. Last return date for Christmas presents is January 14th. Please see our Terms and Conditions for full details of our returns policy. Houghton Country is fully PCI Compliant. We work with SagePay, Paypal and Amazon to process your orders. All debit/credit card payments are collected and processed by SagePay, the largest independent online Payment Service Provider in the country. You can also pay using your Paypal or Amazon accounts. We never pass on your personal details to anybody, except to enable your delivery to be made by one of our delivery partners. © 2019 Houghton Country Ltd. All Rights Reserved.